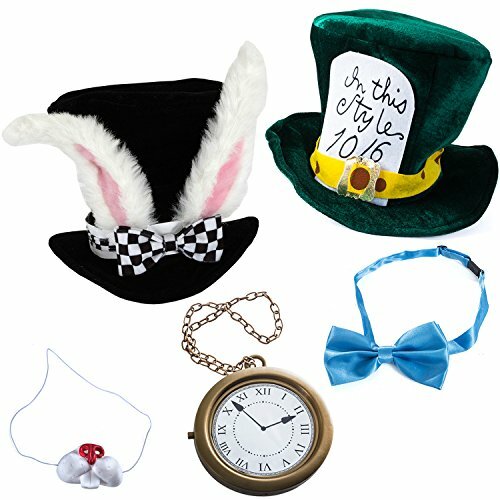 This set includes rabbit hat, rabbit nose, rabbit clock, mad hatter hat & bow tie .Great quality costume set is unisex and is one size fits most adults and teens. 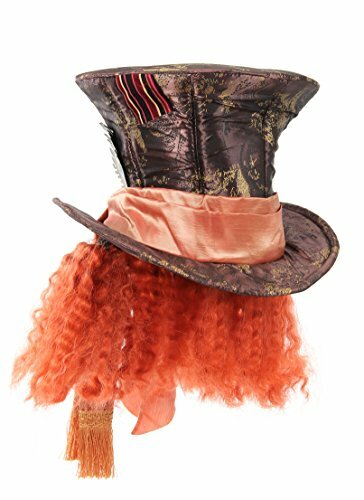 White Rabbit hat and Mad Hatter hat circumference measure approximately 25 inches. 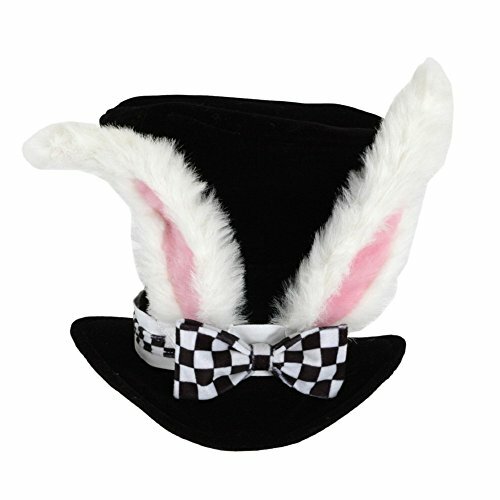 Rabbit nose has an elastic to keep right in place, the bow tie is adjustable to fit most sizes. 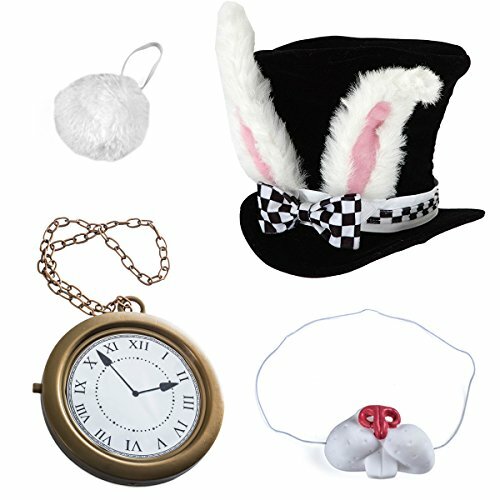 Perfect costume sets for Alice in Wonderland party. 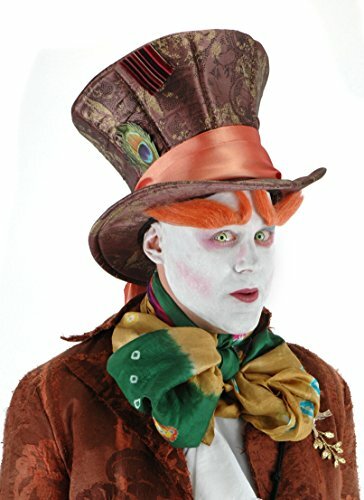 Great Costumes set for couples costumes for Halloween or Easter. 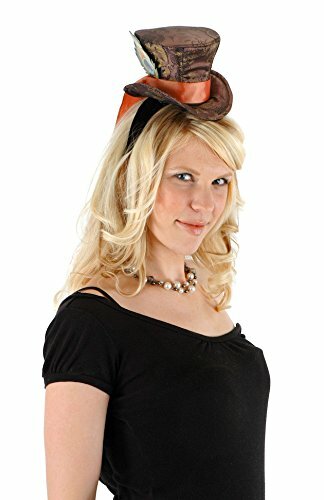 Hat is taffeta with fabric lining, velvet headband, faux feather/patch & fits ages 12 and up. Please note: This item's color may vary due to inherent variations manufacturing or your computer monitor's color settings, however the item you receive will be identical or substantially similar to the item pictured in this listing. 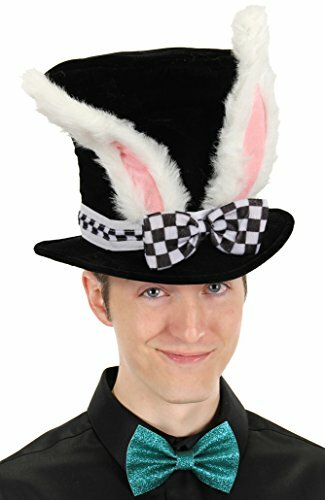 Make an instant costume with this top hat with bunny ears headband. 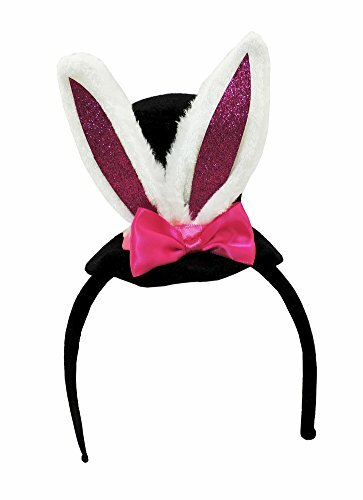 White attached bunny ears are sparkly and shiny to catch others eye.